Yellow Cabs! A symbol of New York and instantly recognisable the world over. 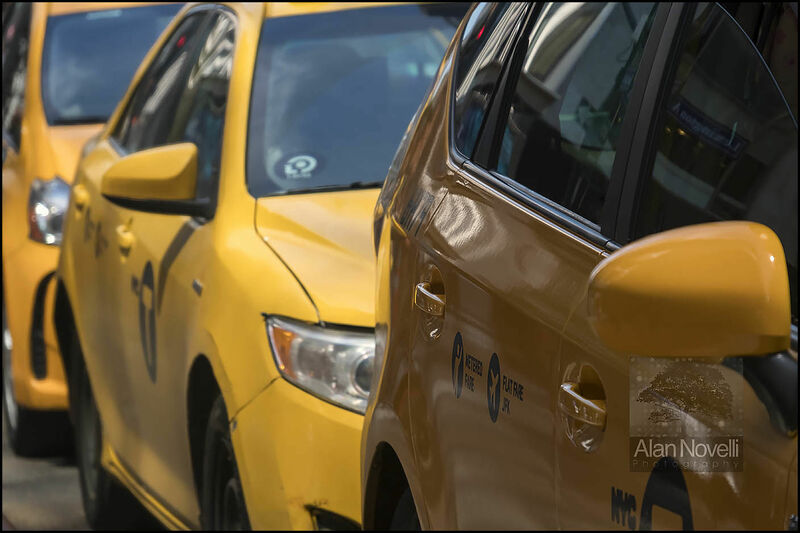 Gone are the 'classic' yellow cabs of countless Hollywood movies, replaced with newer, more fuel efficient, modern vehicles catering to modern emission standards. Coming to New York and not shooting Yellow Cabs would be like winning the lottery and not cashing in the ticket - unthinkable! So here's mine.